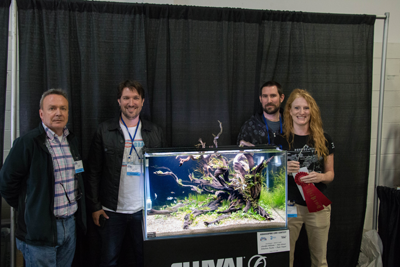 Aquatic Experience 2018 was the host site for the 5th Aquatic Experience LIVE! 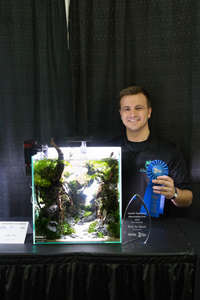 Aquascaping Contests. 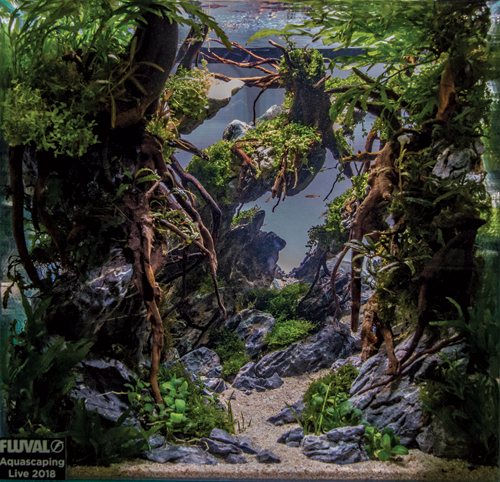 The event was sponsored by Fluval and sanctioned by the Aquatic Gardeners Association. 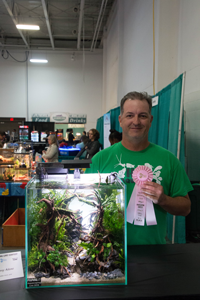 Contestants competed in one of two categories (Small or Large Tank) for $3,900 dollars in prize money. 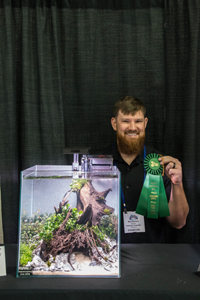 The contest and judging took place on the exhibit show floor Saturday, October 20, 2018 1:00pm-4:30pm. 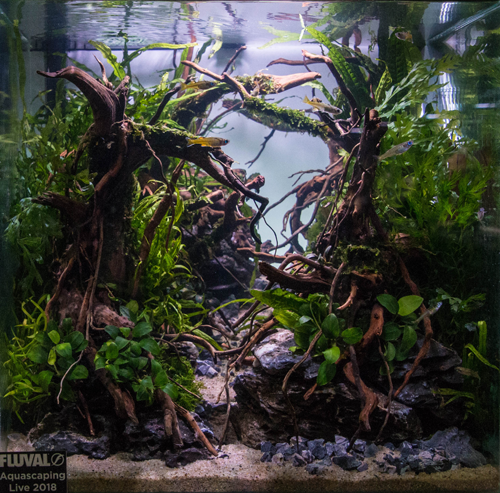 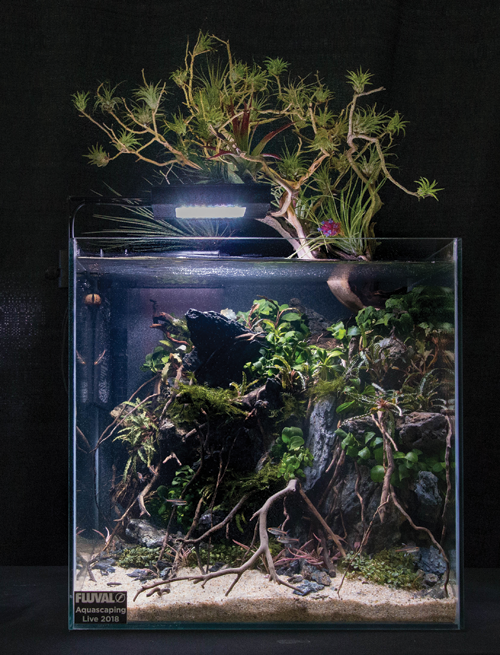 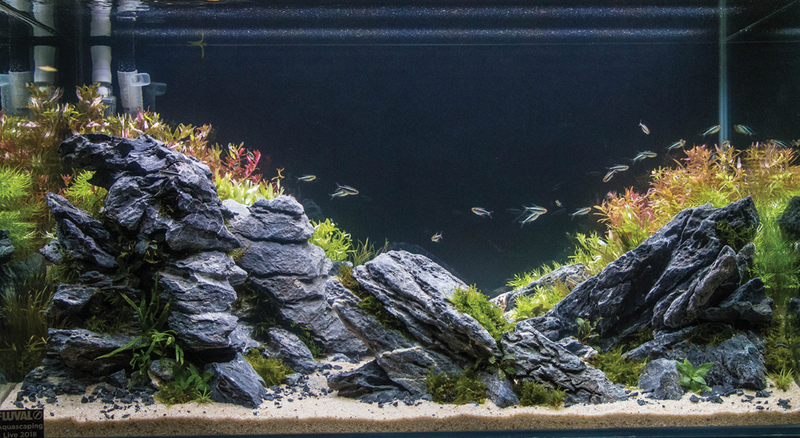 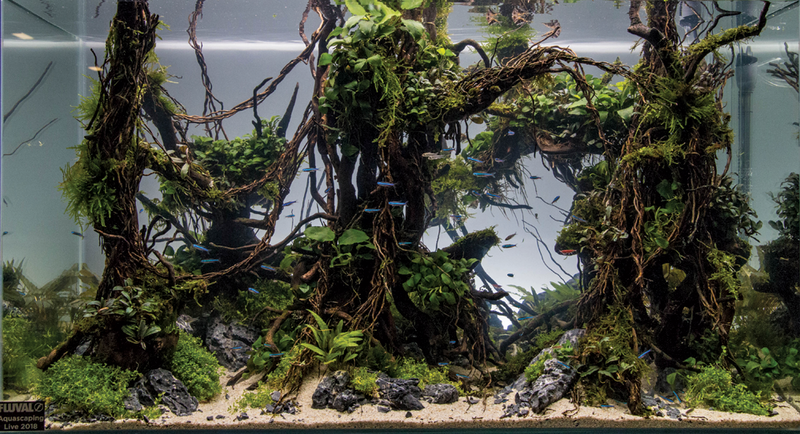 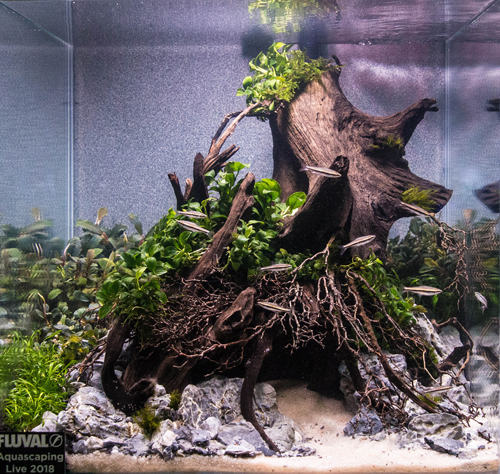 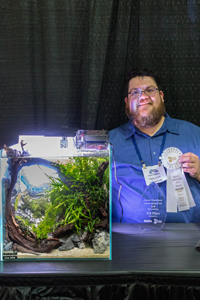 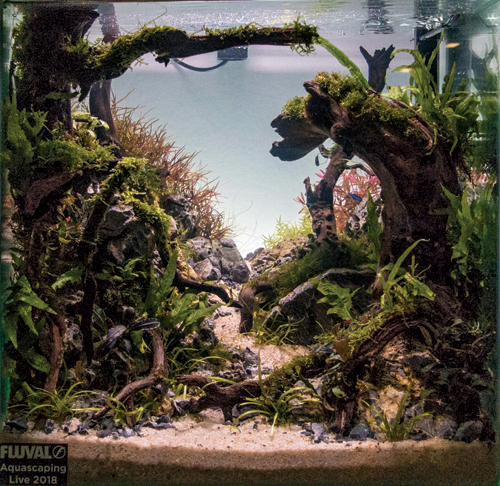 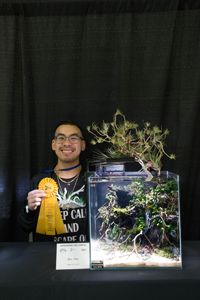 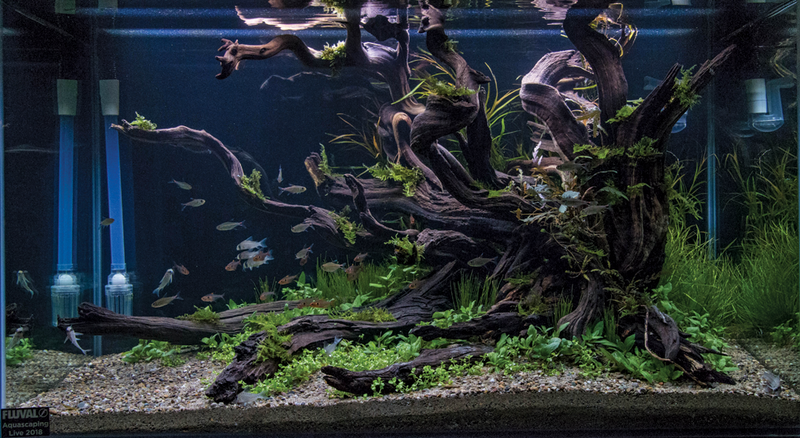 The work-in-progress and award winning aquascapes were on display for attendees to view all three days of the show. 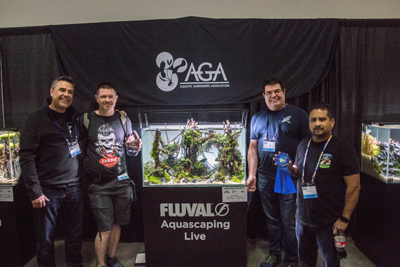 AGA representatives were on hand to answer questions and promote the art and science of aquatic gardening. 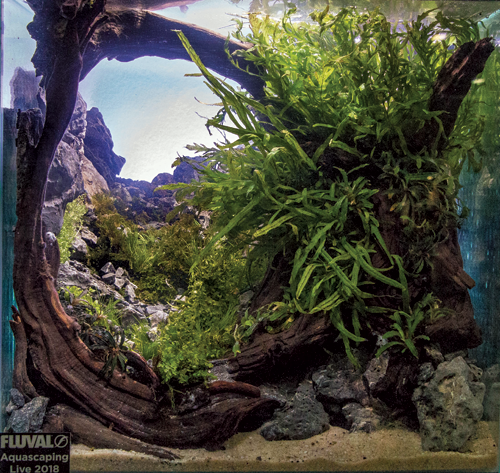 Click on the photo to see a larger image of the tank. 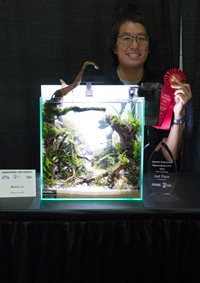 All photos by Karen Randall. 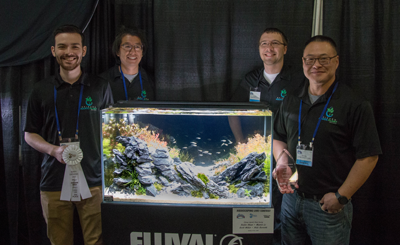 See the winners of 2017.